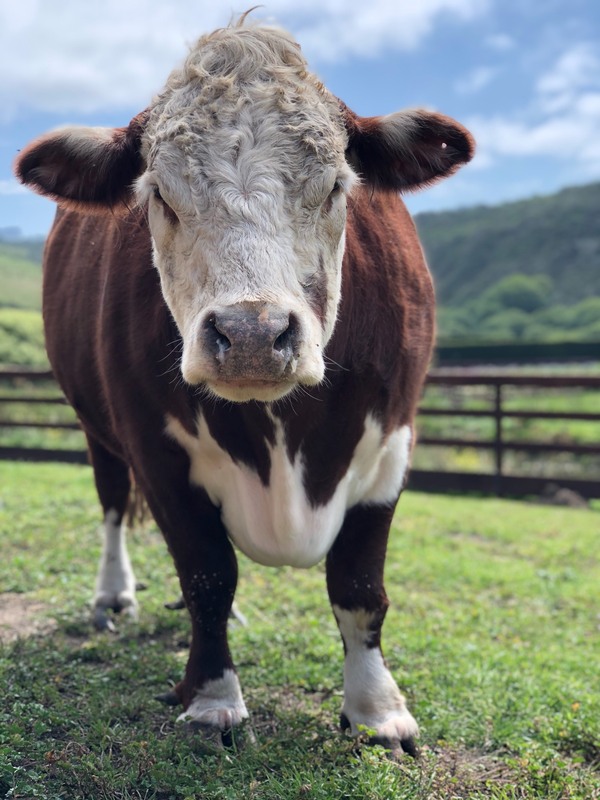 Gizmo, a registered Miniature Hereford Steer, was raised by a local girl in 4-H as an animal project. 4-H provided initial funds but in an agreement that the money would be repaid upon his sale at an auction. His playful and sweet personality grew on the family and when it came time to be sold for slaughter they changed their minds. They reached out to us to help and we rallied our community to raise the thousands of dollars needed to save his life and bring him home. Gizmo has since become one of the most popular Animal Ambassadors here on Sweet Farm where he will live out his life. He loves to spend his days romping around in our large pastures and racing around with his two best friends, Sturgis, our resident stallion, and Paco, our carrot-loving llama.